Bittersweet apple and white peach on the nose. Dried rose petals and honey in the mouth with lots of dusty tannin on the dry, dry finish. Pair this cider with pork of almost any kind, especially cured meats and charcuterie. Also pizza, especially grilled, and all manner of grilled vegetables. 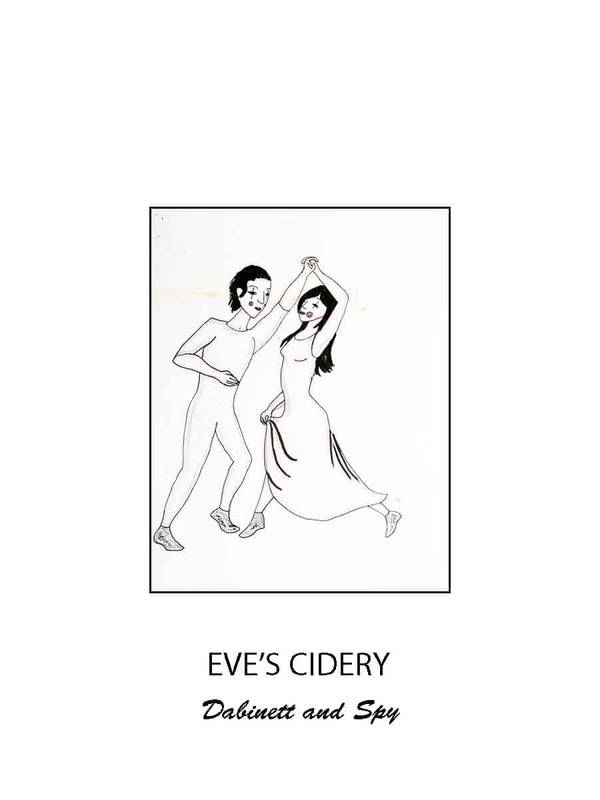 The artwork for the label of this very small production cider was done by my daughter, Leila, when she was 10. The image of the man and woman dancing together was completely based on her own inspiration. It was only after I saw her drawing and after the cider had aged 2 years in the bottle that I realized the aptness of the image. The idea of "pairing-up" or two parts adding up to a greater sum runs through the apples and this cider. Both the Dabinett and the Northern Spy apples were chance seedlings discovered in different parts of the world; the Dabinett in Somerset, England in the early 1900's, and the Spy in the early 1800's in East Bloomfield, New York. Wild seedlings are often forgettable, but sometimes they express the best characteristics of their mystery parents. The Dabinett is a pure bittersweet, with low acidity and soft, smoky tannins. Northern Spy, on the other hand, wakes you up; they have acidity and, in cider, minerality. On paper, they fill in the gaps, putting together structure and acidity for a balanced package. But after aging, this is real; they have melded and become a cider with depth and a finish that lasts forever. The Dabinett was grown by our friend Steve Wood at Farnum Hill and the Northern Spy and Spigold by our friend and partner James Cummins. Although I can't see them married to each other, they're two growers alike in many ways: larger than life, strongwilled, exceedingly generous.